Thank you for your interest in the Idaho good Sam Organization, which is a part of the International Good Sam Club. One of our objectives is to stimulate a greater interest in the principles of good camping through fellowshipping, and aiding fellow campers. Browsing our site, you will find the monthly newsletter, a blog for the latest news, state wide chapters, names of chapter presidents, and how to contact them. If you cannot find one in your area of the state, please contact me at chmigs21@gmail.com and I will assist you in locating a chapter or forming a new Chapter. Belonging to a Good Sam chapter will help you to make new friends with similar interests. Most chapters have a monthly meeting, campouts during the season and attend the state meetings twice a year. The meetings are held in different areas in our beautiful state. Please send comments, suggestions or inquires to Cathie Mickelsen at chmigs21@gmail.com. Are you looking for new friends to go camping with? Good Sam Club Chapters embrace true RV fellowship and make lasting friendships through a shared sense of community and a love for RVing. The Club has local chapters in all states and provinces. Idaho has 23 chapters scattered throughout the state and all of them are welcoming new members. Chapters hold campouts, plan social events and organize community volunteer opportunities. Chapters generally go on outings about once a month during the camping season. 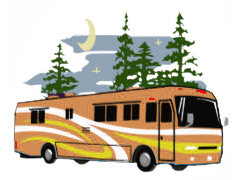 The outings may be at state campgrounds or RV parks in an area they have chosen to visit. The state organization has two events each year, in the summer and fall. Visit the calendar page to see when the statewide events are scheduled. Visit the chapters page to find a chapter near you, or contact Cathie Mickelsen at chmigs21@gmail.com.